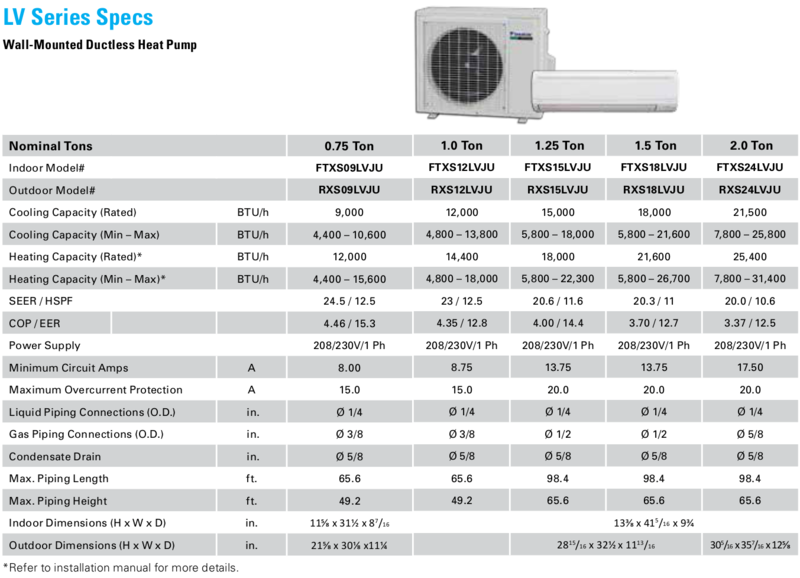 LV Series Heat Pump AC in Minisplitwarehouse.com We have a variety of split air conditioners for sale Daikin 18000 Btu 20 SEER Ductless LV Series Heat Pump AC. Price: $1,849.99 ex. tax. Call us 877-770-3548 or visit our website.